PLAN 4 SA (Pty) Ltd was established in December 2015. The founders passion for people provides the framework for the company’s professional consulting service that focuses on the sustainable development and growth of people and places. A vision is a short description that represents where a company is going. It thus guides the company to a certain identified future state. PLAN 4 SA vision is to be the leading opportunity creator in Southern Africa. The company wishes to contribute to growth and development through employment of an entrepreneurial mind-set in all its service offerings. The importance of entrepreneurship in the future growth and development of Southern Africa cannot be underestimated and the company therefore wishes to put a special emphasis on the empowerment and creation of opportunities for young professionals. A mission describes a company’s current business and purpose. It indicates who we are, what we do and why we are here. As a Professional Planning Practice, PLAN 4 SA aims to add value and make a difference by integrating people, movement, opportunities and place to develop and grow sustain-ably in time and space. We aim to develop, grow and sustain people and places. Honesty, integrity and respect are key elements in building and maintaining relationships with people. We continuously strive to improve our knowledge, understanding and wisdom, whilst faith, hope and love are the cornerstones upon which our legacy is being built. As a newly founded legal entity, the company’s experience currently lies in the 20-years of personal experience of its founder (Martin Jonker) who attained comprehensive knowledge and skills from working in a multi-disciplinary environment in both the public and private sectors and in the Transport Planning, Town Planning, Business Planning and Project Management disciplines. This has enhanced his overall competency and proficiency as a Professional Planner and has added a competitive advantage to his managerial, project management and other professional skills. 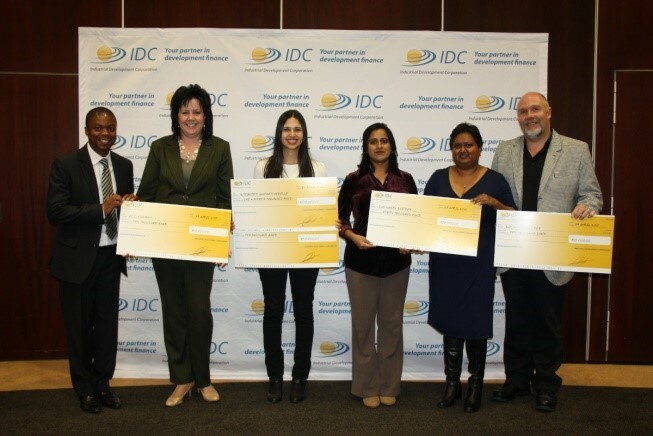 Talk NMMU, May 2015: NMMU’s Sun Wheel Seeder business plan produced by Mary-Ann Chetty, Kumaree Moodley, Ralph Kuhn and Martin Jonker won overall third place prize and seed capital of R50 000. It also won the Most Impactful Socio-Economic Development category. The Sun Wheel Seeder is a low-cost seed planter suitable for small scale farmers practicing conservation agriculture. Business Planning & Development is done in partnership with Mr Ralph Kuhn, an MBA graduate of the NMMU Business School. Project Management Services include the management of all the multi-disciplinary planning and related activities that are required prior to the commencement of construction.